Wear and tear are expected in real estate investing; everybody knows that all rental properties go thru a certain amount of deterioration. As a Union Park property owner, you should know that wear and tear are a part of normal operations, from paint that needs to be updated every few years to carpets that need to be replaced. These routine upkeep duties are all part of anticipating an inevitable degree of wear and tear. Knowing all of that, there are several steps that you can take to minimize the amount of wear and tear on your rental properties. These include using durable materials, maintaining a good working relationship with your tenants, and performing regular property evaluations. Opting for quality materials is an integral aspect of reducing the speed at which particular features of a rental home wear out and need to be changed. Cheaper materials may give the impression that they will save you plenty of money when you first make a decision, but cheap materials tend to wear out sooner, look ragged more rapidly, and simply won’t stand up to heavy or even moderate wear. 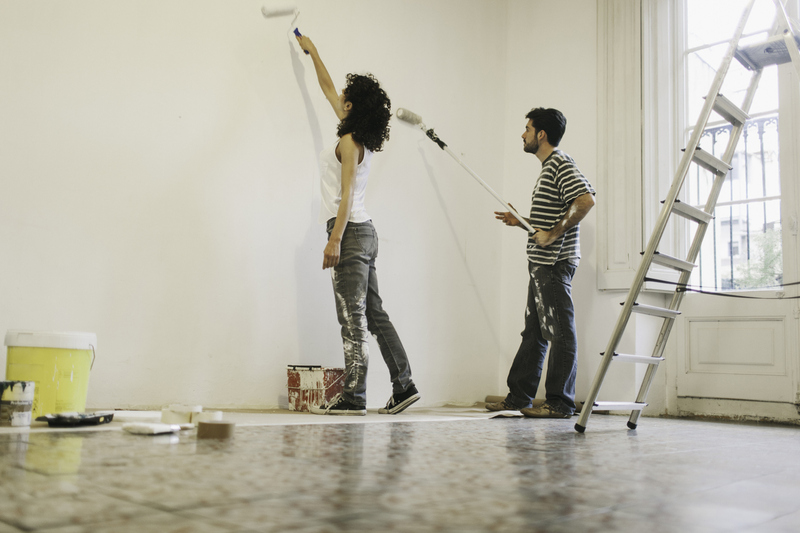 Concerning paint, carpet, flooring, light fixtures, and appliances, it’s essential to select quality materials that can take a beating and keep going strong. Not to be confused with choosing luxurious products; luxury materials are not required. However, selecting the suitable elements for the normal wear can spell the distinction between replacement costs and other expenses as the years pass by. One other critical part of minimizing wear and tear on your rental properties is maintaining a good working relationship with your tenant. Renters who understand that they can depend on and trust their landlord to make the necessary renovations tend to be more responsive and proactively inform you about repair and maintenance problems ahead of time, meaning lesser costly repairs. They are also likely to cooperate with you to keep your Union Park property in perfect condition. Selecting the right renter is essential, but so is fostering a relationship of universal respect. That may mean going past simple service calls and checking on your tenants every so often. If your communication with your tenant is when there is a problem only, then they may associate you with complications and hesitate to proactively reach out for assistance. It’s important not to underestimate the value of regular property evaluations. They are an important part not only of property maintenance but of tenant relationships as well. While it’s true that this can be a significant investment of your time, you can always enlist Real Property Management Freedom to work with you as a team to keep your tenants happy and your rental property in good condition. Would you like to learn more about our property management services in Union Park? Please contact us or call us at 407-624-4706 for more information.